I’ve been neglecting the bird of the week list lately, so here is a big bird and a big posting to make up. My excuse for the neglect is my recent involvement with organising a recorder workshop and the involvement of the North Queensland Recorder Society in Benjamin Britten’s opera Noye’s Fludde – Noah’s Flood – at the Australian Festival of Chamber Music in Townsville. Anyway, the musical dust is settling now and it’s back to the birds. 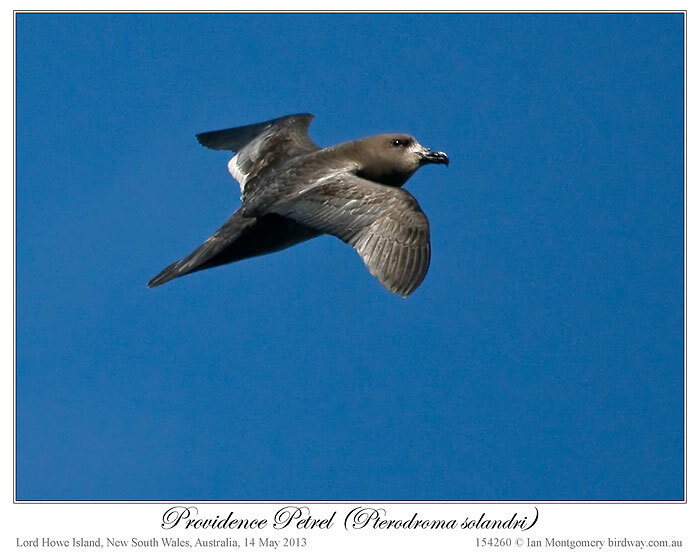 A Shearwater and a Petrel have featured as bird of the week recently (Providence Petrel, Flesh-footed Shearwater). They’re closely related, belonging to the family Procellariidae, so here’s one to illustrate, perhaps grossly, the difference between them. 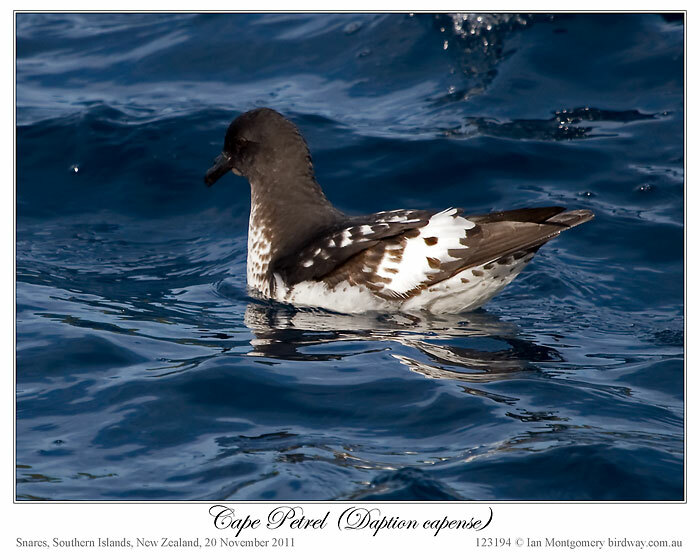 Shearwaters are slender, more elegant and have finer bills then their dumpier counterparts, the Petrels. 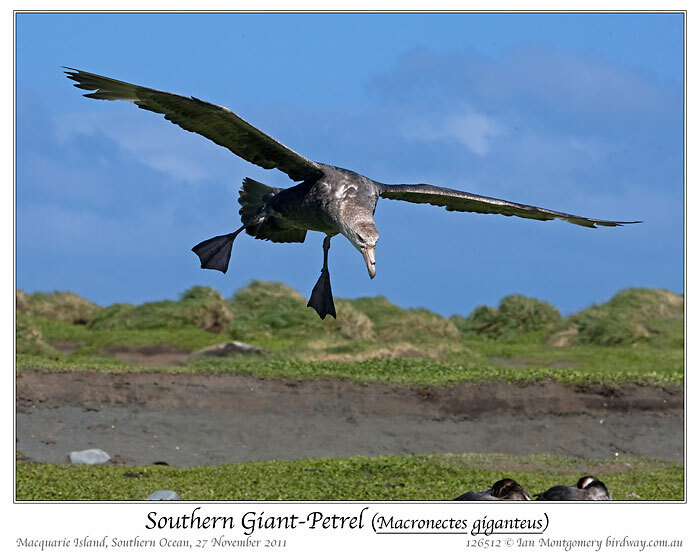 The dumpiest of the lot is the Southern Giant-Petrel, comparable in size to the smaller Albatrosses (or Mollymawks) with a length of 85-100cm/33-39in , a wingspan of 150-210cm/59-83in and a weight of 3.8-5.0Kg/8.4-11lbs. 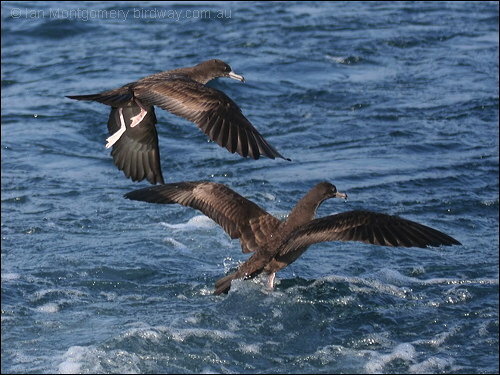 They are the vultures of the Southern Ocean, dealing with the unsavoury task of cleaning up offal in bird and marine mammal colonies, a job they tackle with unsubtle enthusiasm. They’re also not above killing young and or weak chicks of penguins, so it’s not surprising that they are often regarded with some distaste. On land, they appear clumsy like other members of the family, but, as the first photo, can be surprisingly agile. this bird is a young adult with a restricted amount of off-white on the face and neck. Juveniles are brownish-black and the adults get progressively paler on the head and neck as they age. The one in the second photo is an older adult. The most important field-mark for distinguishing Southern and Northern Giant-Petrels is the colour of the bulbous tip to the bill: this is greenish in the Southern and pinkish-red in the Northern. This might seem an inconspicuous feature, but the contrast between the otherwise pinkish bill and greenish tip of the Southern species is fairly obvious, even at a distance and the field-mark holds true for juvenile birds as well. The other field-mark is the pale leading edge to the wing of adult Southern Giant-Petrels, visible in the third photo of a bird concentrating very hard on making a gentle landing on the beach at Macquarie Island. This particular bird looked very pleased with itself after landing as you can see by following this link. 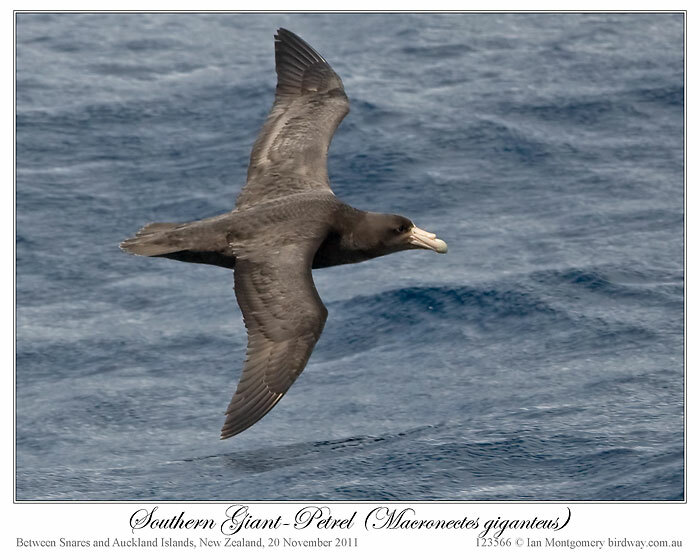 Both species nest on islands all around the Southern Ocean, and their distributions overlap, though only the Southern breeds on the coast of Antarctica and only the Northern breeds on the Sub-Antartic Islands of New Zealand. Both nest on Macquarie Island, so there seems to be no doubt that they are different species despite their similarities, even though there is a population on Gough Island that is intermediate and may be hybrid (Northern plumage with greenish bill-tip). 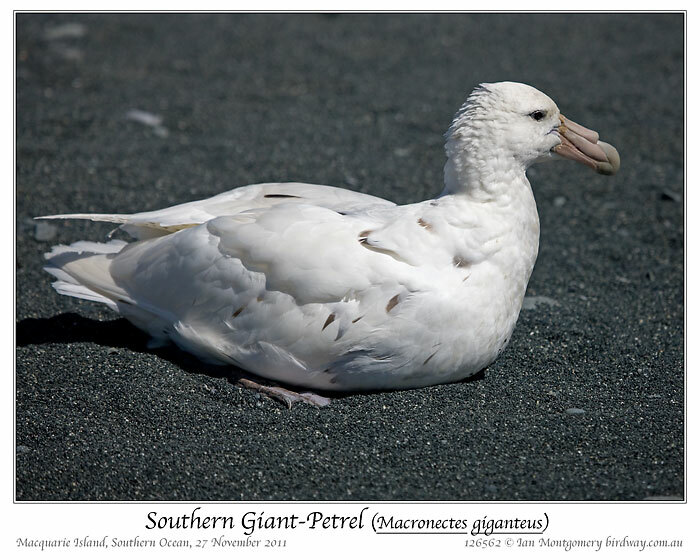 About 10% of the adult Southern population on Macquarie Island belong to a white morph and have almost complete white plumage with a few dark spots, fourth and fifth photos. With a little imagination, this looks like ermine and makes these birds look almost regal compared with their decidedly grungy relatives. Interestingly, about 1% of the juveniles fledged on Macquarie are albino with completely white plumage and pink bill, legs and feet, but they don’t appear to survive to adulthood. 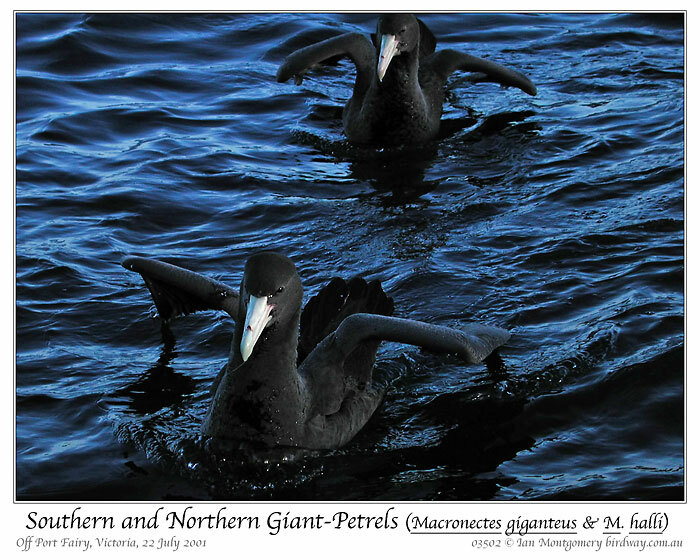 The Northern Giant-Petrel doesn’t have a white morph. 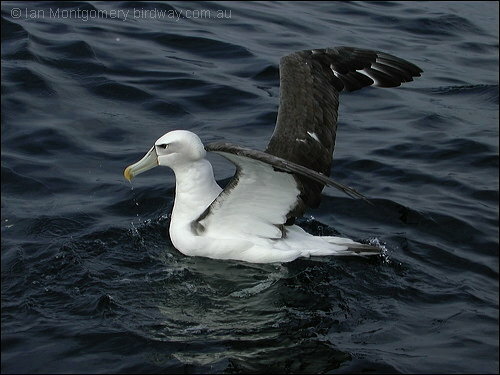 Both species occur in mainland Australian waters but usually offshore and usually as juveniles. The juveniles have silky dark plumage and look quite dapper. The sixth photo shows one of each species off the coast of Victoria, and you can see the difference in bill colour. 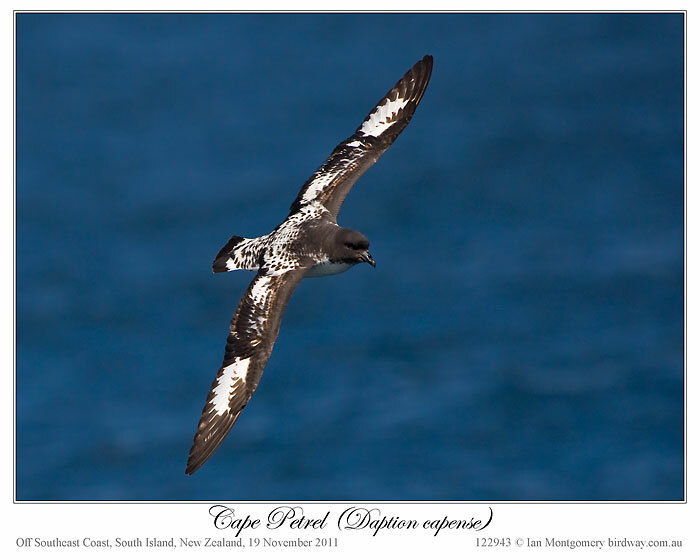 The seventh photo shows a juvenile in flight south of New Zealand. The pale leading edge to the wing of the Southern species is absent in juveniles, but this photo illustrates the point I made earlier that the bill colour is visible even in birds at a distance. If you’re observant, you may have noticed that I’ve tried changing the font of the species English and scientific names – the seventh photo shows the old font. I chose this originally to copy the style of 19th Century bird artists such as the French-America John James Audubon (below). Recently a member of the list made the point that the scientific name in particular was hard to read in the old font (Edwardian Script). The new one (Apple Chancery) is italic-looking and doesn’t have a separate italic style, so I’ve need to underline the scientific name instead to conform to scientific naming conventions. If you feel strongly about either the old or new fonts, let me know ian@birdway.com.au so I can make a decision whether to make the change permanent. The Dusky Shearwater, incidentally, is now known as Audubon’s Shearwater (Puffinus lherminieri) and is part of the Little Shearwater species complex. He encountered it off the coast of Florida: it breeds in the Caribbean and on Cape Verde Is and has been recorded in Australia. Here is a hint for the photo that has the two juveniles in it; the bulbous tip of the front one is green and the back one is pink. Thanks, Ian, for introducing us to more interesting birds. Their beaks are quite interesting. See Formed By Him – Sea Birds That Drink Seawater, for an article for an explanation of that beak. 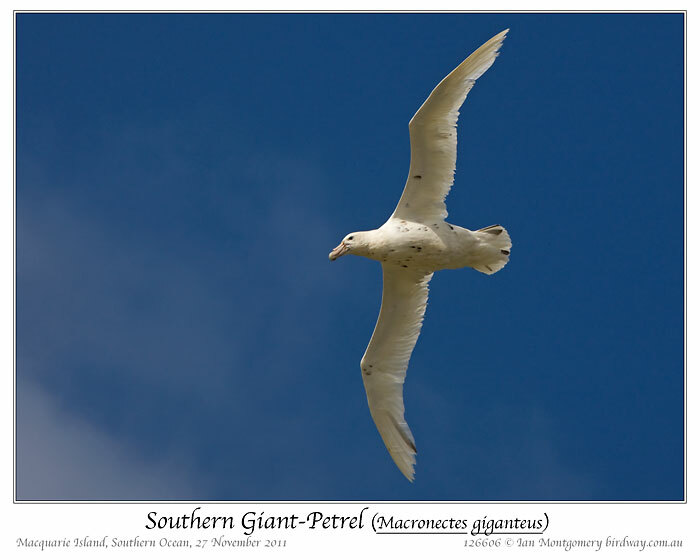 Wikipedia, with editing, also has this to say about this bird: The Southern Giant Petrel (Macronectes giganteus), also known as the Antarctic Giant Petrel, Giant Fulmar, Stinker, and Stinkpot, is a large seabird of the southern oceans. 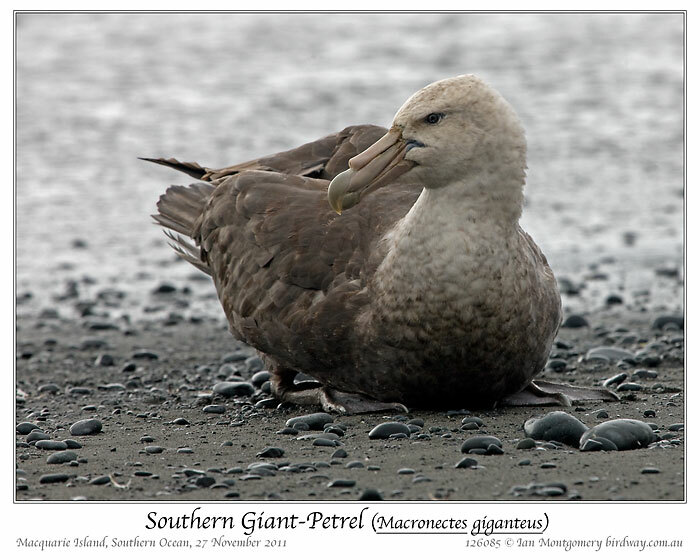 Its distribution overlaps broadly with the similar Northern Giant Petrel, though it overall is centered slightly further south. It, like all members of the Procellariiformes have certain features that set them apart from other birds. First, they have nasal passages that attach to the upper bill called naricorns. Although the nostrils on the Petrels are on the top of the bill. The bills of all Procellariiformes are also unique in that they are split into between 7 and 9 horny plates. Finally, they produce a stomach oil made up of wax esters and triglycerides that is stored in the proventriculus. This is used against predators as well as an energy rich food source for chicks and for the adults during their long flights. They also have a salt gland that is situated above the nasal passage and helps desalinate their bodies, due to the high amount of ocean water that they imbibe; it excretes a concentrated saline solution from the nostrils. 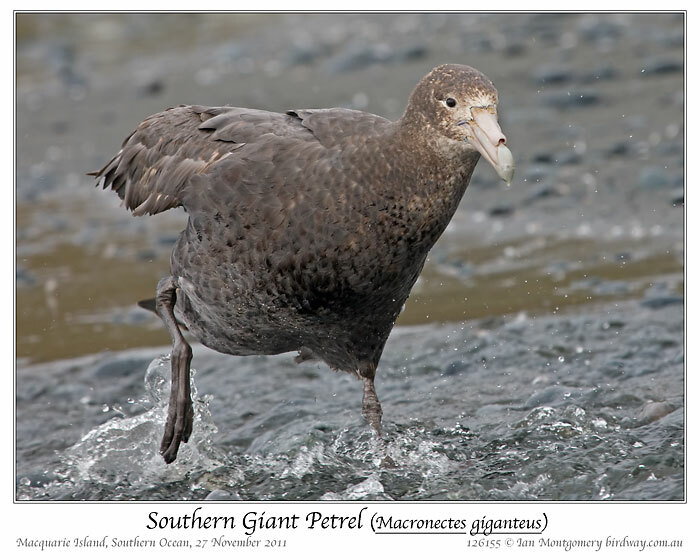 The Southern Giant Petrel achieves maturity at six or seven years of age; however the average age of first breeding is ten years. Its breeding season begins in October. Its nest is a mound of moss, grass, and stones with a depression in the center and located on bare or grassy ground. They form loose colonies except in the Falkland Islands where the colonies are much larger. 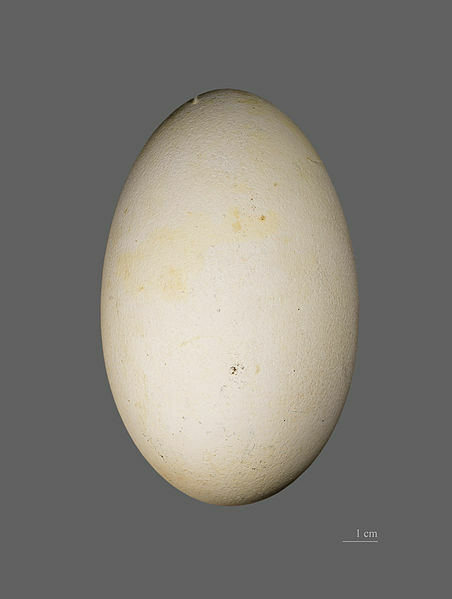 One egg is laid and is incubated for 55–66 days. When the white chick is born it is brooded for two to three weeks and it fledges at 104–132 days. 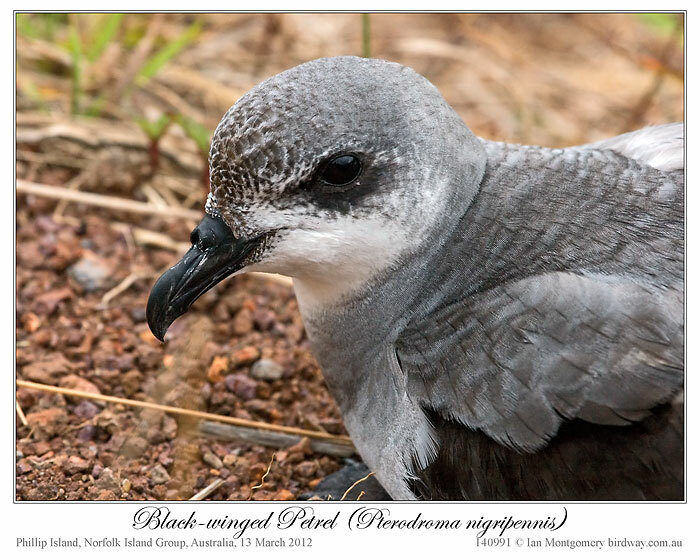 Your collective moral support did it again, thank you very much, so here is the Providence Petrel the other really special bird species of Lord Howe Island. ‘Special’ in the sense that after its extermination on Norfolk Island by 1800, Lord Howe was its last remaining breeding site, saving it from extinction. 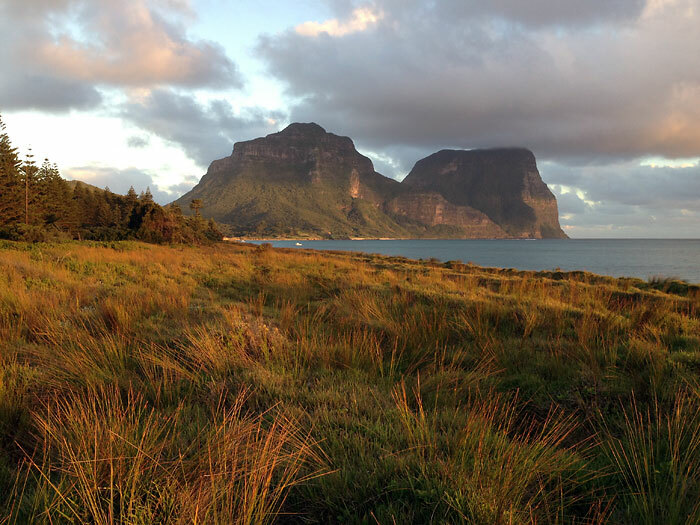 Unlike Norfolk Island which lacks very high mountains, Lord Howe has two fairly inaccessible ones, Mount Lidgbird, on the left in the first photo, and the taller Mount Gower on the right and it is on the tops and slopes of these that the Providence Petrel breeds. You need to be a mountaineer to climb Mount Lidgbird and young and very fit to climb Mount Gower. We took the easier option of going by boat to the base of Mount Gower where we got good views of many Petrels in flight preparing to land at their nesting burrows. They are winter breeders, returning to the island in March and laying eggs in May. They seem reluctant to actually land, so each afternoon the air around the two Mountains swarms with these birds like clouds of insects and it is a wonderful sight. Very clumsy on the ground, they are fast and agile in the air so I was happy to get a few reasonable shots given the choppy conditions without falling overboard. The first Petrel photo shows the characteristic overall dark bird (it looks lighter than usual against Mount Gower) with the characteristic white patches on the primary wing feathers and under wing coverts that distinguishes it from most other similar petrels. The second petrel shot, shows the upper wings – these are all dark and lack the white shafts to the primaries that distinguish the similar Kermadec Petrel. Other field marks are the scaly white feathers on the face and the dark neck and upper breast. The third petrel photo shows a more characteristic dorsal shot with the bird silhouetted against the sky and shows it long slender wings. The birds average 40cm/16 in in length with a wingspan of about 1 m/3 ft 3 in. After breeding, the disperse to the North Pacific. For food, they dive into the water for crustaceans, squid and small fish. The Lord Howe population is estimated at about 30,000 pairs. Feral pigs were eliminated as part of the Woodhen recovery project and the Petrels are recolonising the lower slopes of the mountains. They were rediscovered on Phillip Island close to Norfolk Island in 1985 and the current population there is less than 100 pairs. The elimination from Norfolk Island took place between 1790 and 1800 with perhaps one million adults and young being harvested in the period 1790-1793. Ian has shared another of his birdwatching adventures with us. It’s good to hear that the Petrels there are making a comeback. 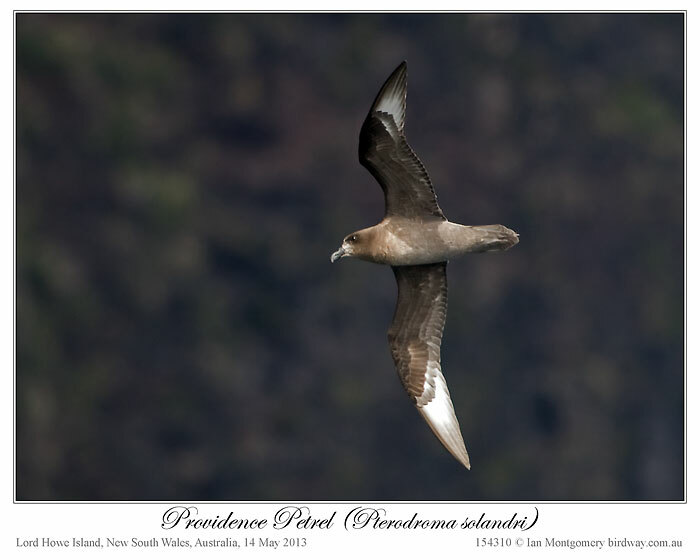 “The Providence Petrel (Pterodroma solandri) is a species that burrows in one location; isolated Lord Howe Island, some 800km from the Australian mainland in the Tasman Sea. Of roughly pigeon like proportions (40cm), the bird was once also numerous on Norfolk Island (to Australia). However, its population here was consumed by starving epicurean transportees, sent to Norfolk Island as way of punishment. Nonetheless it numbers some 100,000 on Lord Howe. Graceful and supple in flight, the Providence Petrel has a cumbersome propensity on the ground, making it vulnerable from attack by predators. 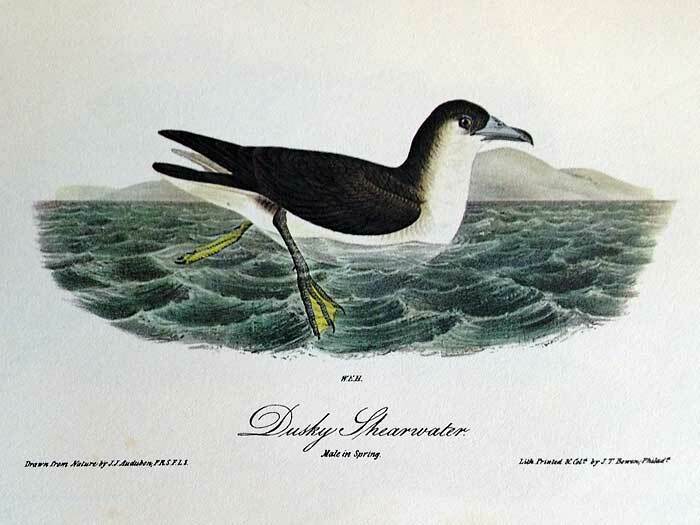 Despite its reasonably copious strength of numbers, the Providence Petrel is deemed to be in a precarious disposition because its breeding is confined to two mountain tops and one tiny islet, and is therefore at great risk from a catastrophe. This species is classified as vulnerable. Main causes of death are predation by the endangered Lord Howe Rail and flooding of burrows. Other dangers include rat predation and drowning in longline fishing gear. The current population is estimated at 64,000. Three weeks ago we had the Cape Petrel. Here is the Black-winged Petrel, another species, like the White Tern and Grey Ternlet, that I had seen twenty years ago on Lord Howe Island and was keen to photograph on Norfolk Island. 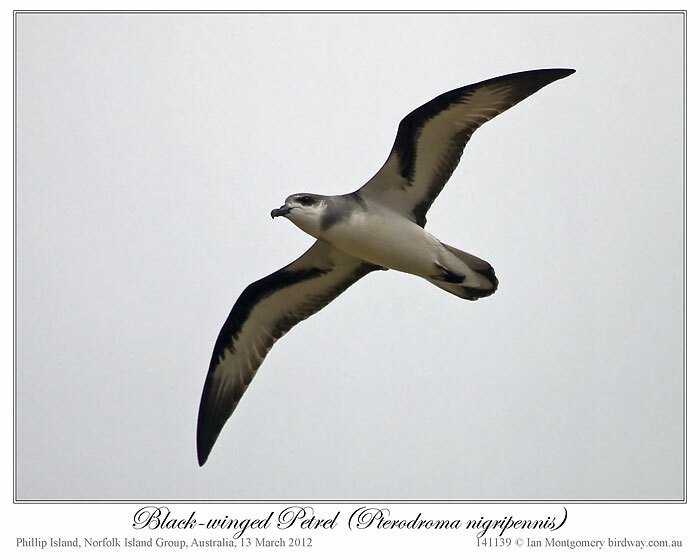 With a length of 28-30cm/11-12in and a wingspan of 67cm/26in, this is quite a small species with elegant black, grey and white markings and a stubby, hooked bill, visible in the first photo. It nests on both the main island and Phillip Island – where it was quite abundant – and was easy to find as, unlike most petrels and shearwaters, it is active around the breeding colonies in daylight. Most petrels and shearwaters come ashore under cover of darkness to reduce the risk of avian predators such as raptors and gulls, but the Black-winged has historically nested on predator-free islands. ‘Historically’ here means before human settlers introduced predators such as feral cats. 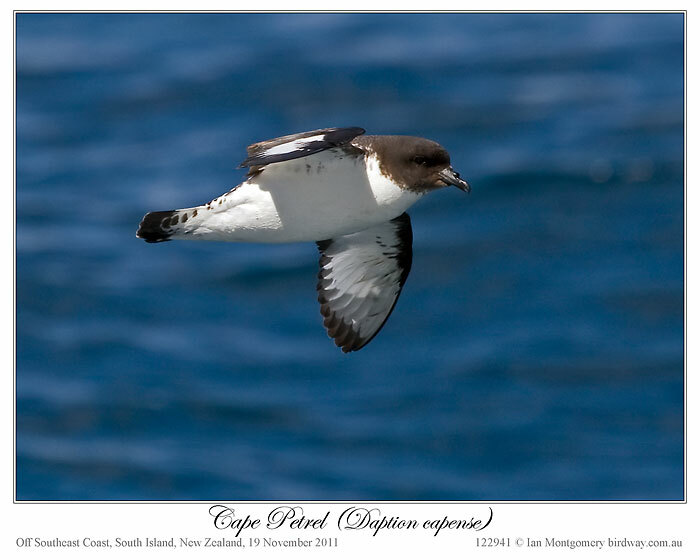 Black-winged Petrels are accomplished fliers and spent much time in aerial acrobatics around and over cliffs. The generic name Pterodroma means ‘winged runner’ and refers to their aerial agility. 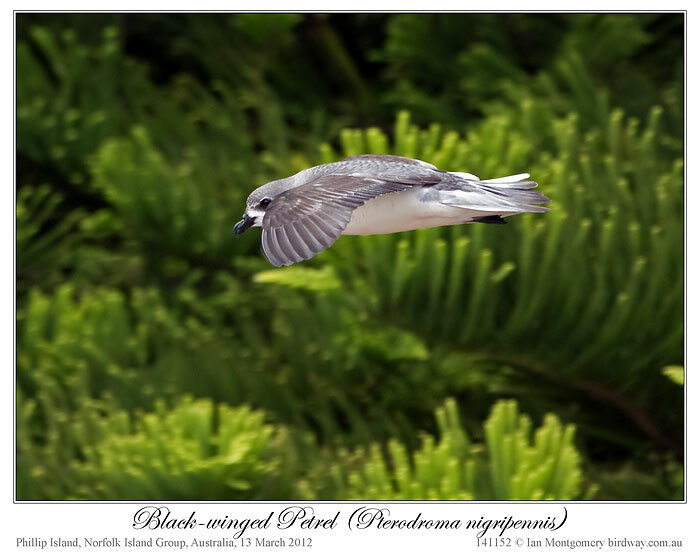 The one in the second photo is coming in to land near its nesting burrow and passing some Norfolk Island Pines. All petrels and shearwater, except the Giant Petrels, have very weak legs and once on the ground are barely mobile using their wings to drag themselves along on their bellies. Like many island birds, they seemed unafraid and didn’t appear agitated when approached closely to have their photos taken. The fourth photo shows the tubular nostrils characteristic of this family of birds and their close relatives the albatrosses and storm-petrels. All these ‘tube-nosed’ birds are thought to have a strong sense of smell – very unusual for birds – that helps them find both marine prey and their nesting burrows on dark nights, and the birds themselves apparently have a strong musty odour during the breeding season. The hooked bill helps the birds grasp slippery prey – mainly squid and small fish – and the bills have sharp cutting edges. The Black-winged is one of about 36 global species of Pterodroma petrels collectively and, I think unfairly, called Gadfly Petrels, in reference to their erratic flight. As I’m sure you know, Gadflies are nasty blood-sucking insects such as Horse and March Flies, and there must be other more congenial erratic fliers after which they could been named. Anyway, Gadfly Petrels feed on the wing by snatching prey from the surface of the water and rarely alight on the water or dive. 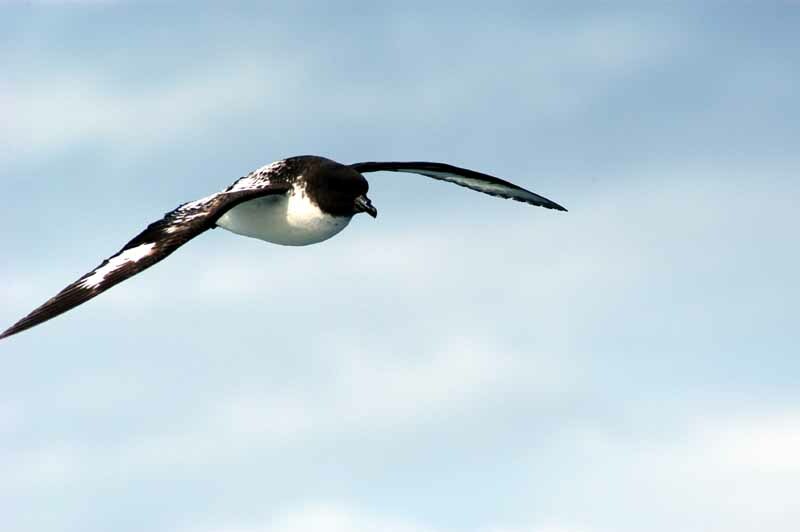 The Black-winged Petrel breeds on islands in the south Pacific including Lord Howe, Norfolk, various islands around New Zealand and on several in French Polynesia. Helped by protection and the removal of predators such as feral cats, its population is increasing and it has bred on Lord Howe only since the 1960s. There are unproven recent reports of it breeding on some islands on the east coast of Australia, where it is generally rare. Outside the breeding season, it is highly pelagic and ranges widely over the Pacific as far as southern Japan and Mexico. Thanks, Ian, for another interesting Newsletter. Trust you all are enjoying Ian’s Bird of the Week newsletters as well as I do. They are so informative and he introduces us to such a variety of birds. His photograph is outstanding. 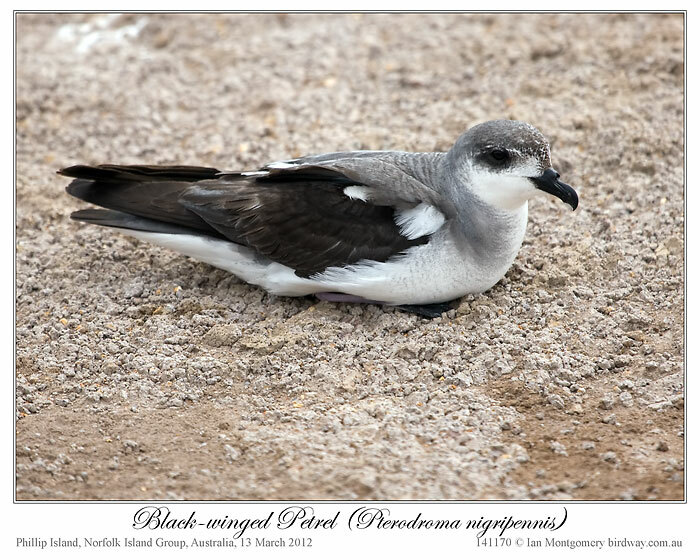 The Black-winged Petrel is a member of the Procellariidae – Petrels, Shearwaters Family which has 87 species. They are in the Procellariiformes Order. The order has 3 other families, the Storm Petrels, Diving Petrels and the Albatrosses. See Bird of the Week for more articles by Ian. My records show that no Petrel and only one Shearwater (Buller’s) has ever featured as bird of the week. That’s partly because, until recently, I didn’t have many photos of members of this family of seabirds (Procellaridae) but that has been largely corrected by recent trips to the Sub-Antarctic and Norfolk Island. Petrels and Shearwaters are often challenging birds to identify, so I’m going to start with an easy and attractive one that featured prominently on the Sub-Antarctic Islands trip last November. The striking chequered black and white pattern on the back and wings is unique. The white patches on the primary and secondary flight feathers are translucent and appears as ‘windows’ when seen from below in bright light, as in the second photo. We encountered Cape Petrels soon after leaving Dunedin, and as they follow ships, they were almost constant companions for most of the voyage. With a length of 35-40cm/14-16in, they’re comparable in size to a domestic pigeon, though with much longer wings, and are often called Cape Pigeons. They feed on krill, small fish, etc., either by swimming buoyantly on the surface and pecking in a rather pigeon-like fashion or by snatching morsels in flight. They’ll readily feed on marine scraps left by others and often follow whales. As you can guess from the name, the species was originally named from a specimen collected at the Cape of Good Hope and described by the father of taxonomy, Linnaeus, in 1758. Cape Petrels are very characteristic bird of the southern oceans right around the planet and range from the coast of Antarctica to the Tropic of Capricorn, and even reach the equator in the cold Humboldt current on the western side of South America. They occur around Australia in the southern winter but are mainly an offshore bird, unless beach-wrecked by storms. The global population is in the millions, and they can occur in large flocks, though we encountered them mainly in small numbers. The nest on most of the sub-Antartic Islands around the world and on islands along the coast of Antarctica itself. There is a small colony on Macquarie Island and larger colonies on the Southern Islands of New Zealand (Snares, Auckland, Campbell, Bounty, Antipodes and Chatham). These belong to a separate race, australe, smaller than the nominate race. I loved watching them soaring and wheeling around the ship, and they looked as if they enjoyed it too. I got very used to their attendance and found their familiar presence reassuring in the vast and sometimes alien and stormy remoteness of the Southern Ocean. I have another request for moral and spiritual support (and so far you’ve never failed me :-})! I’m planning to go to Eungella National Park west of Mackay next weekend in search of the Eungella Honeyeater. I’ve never seen it before, and we need photos for the Pizzey and Knight digital project. Looks like the Petrel flew under some dropping white paint. I am sure that it helped in IDing it. Ian is correct about that unique pattern. I am amazed at how unique all the birds were created. Each has its own patterns, food requirements and places to live. Just like all of us. We each have a unique niche to find and enjoy. Thankfully, Ian has found one of his niches. He is an adventurous and fantastic photographer. Yes, Ian, we will be praying for you as you take this next adventure to find the Eungella Honeyeater and whatever else pops up in front of your lens. Also for your safe journey. 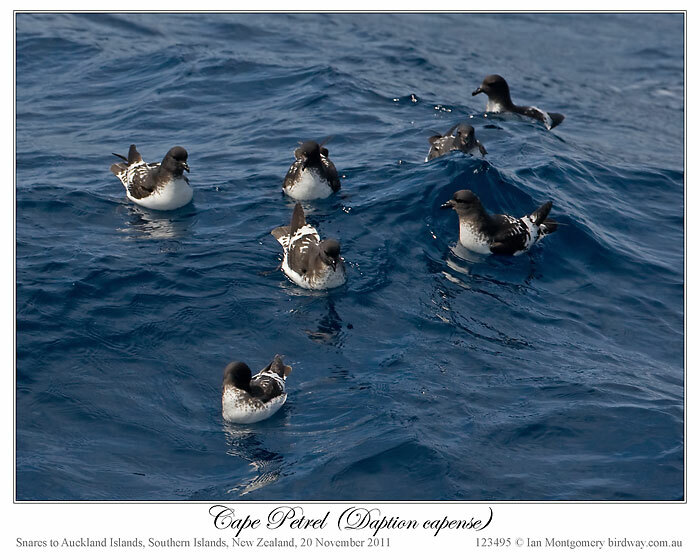 Check out Ian’s Procellaridae family and the article about the Buller’s Shearwater. 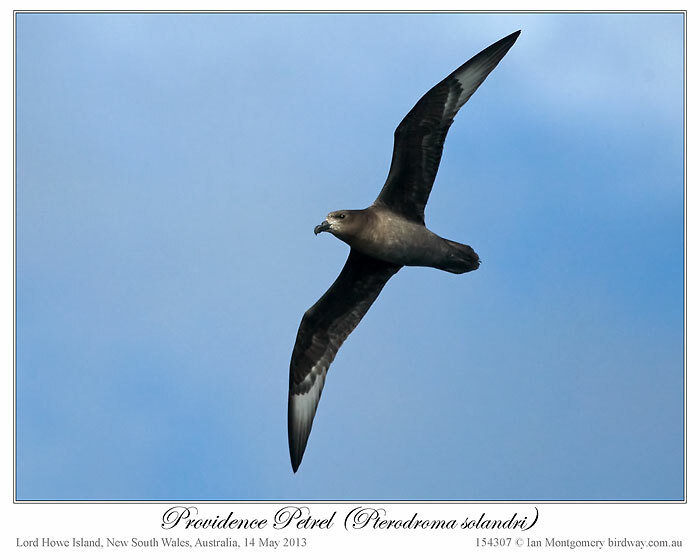 The Procellariidae – Petrels, Shearwaters Family here. Since writing the “Formed By Him – Sea Birds That Drink Seawater“, I have been busy behind the scene updating the Procellariiformes Order.That was the Order the article was about. Found as many species’ photos as I could and even included some videos to view. There are a total of 40 Orders altogether, so it is nice to complete another one. Procellariiformes is an order of seabirds that comprises four families: the albatrosses, procellariids, storm-petrels and diving petrels. Formerly called Tubinares and still called tubenoses in English, they are often referred to collectively as the petrels, a term that has been applied to all Procellariiformes or more commonly all the families except the albatrosses. 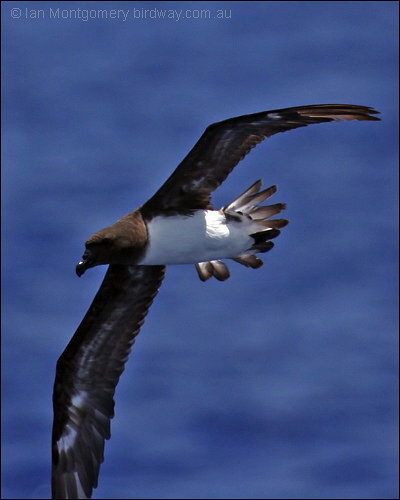 They are almost exclusively pelagic (feeding in the open ocean). 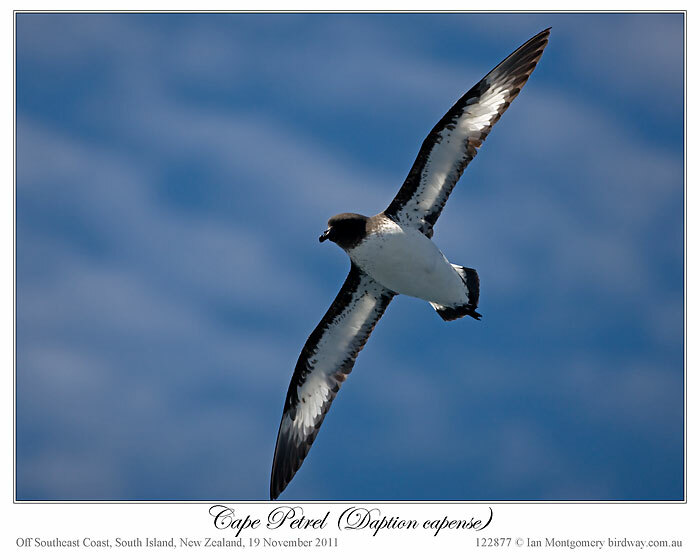 They have a cosmopolitan distribution across the world’s oceans, with the highest diversity being around New Zealand. Procellariiformes are colonial, mostly nesting on remote predator-free islands. The larger species nest on the surface, while most smaller species nest in natural cavities and burrows. They exhibit strong philopatry, returning to their natal colony to breed and returning to the same nesting site over many years. Procellariiformes are monogamous and form long-term pair bonds which are formed over several years and may last for the life of the pair. Only a single egg is laid per nesting attempt, and usually only a single nesting attempt is made per year, although the larger albatrosses may only nest once every two years. Both parents participate in incubation and chick rearing. Incubation times are long compared to other birds, as are fledgling periods. Once a chick has fledged there is no further parental care. Yellow-nosed Albatross (Diomedea chlororhynchos) on the water, then flying off – by Nick Talbot.